How did a Rust Belt city with a reputation for blizzards end up in the #3 spot on Travel + Leisure’s list of America’s Favorite Cities? It’s easy: Buffalonians are proud of their city and even more proud of its ongoing revitalization. They’ve even coined a term for its rebirth: Buffalove. Travel + Leisure asked their readers to rank their hometowns and cities across categories like pizza quality, friendliness of locals, and things to see and do. Buffalo took home the #1 spot as “America’s Friendliest City”. Buffalo is known as “The City of Good Neighbors” and it’s not just because residents shovel each other out after a snowstorm. Residents aren’t afraid to say “hello” on the street and are more comparable to Midwesterners than New Yorkers in temperament. The city also has some major culinary chops and it’s not just the wings. Buffalo came in at #3 on the magazine’s list of “America’s Favorite Cities for Food”, which used the same survey data. Readers raved about Buffalo pizza from the cup and char pepperoni to the distinctive sweetness of the sauce. 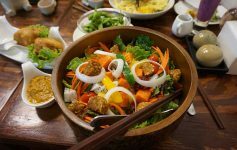 The city’s booming culinary scene also earned multiple mentions. Parks and architecture were also highly celebrated in responses. Buffalo is home to seven Frank Lloyd Wright designs and countless green spaces throughout the city. 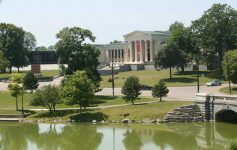 Frederick Law Olmstead designed many Buffalo parks, including the revered Delaware Park. Olmstead is also the mastermind behind New York City’s Central Park. 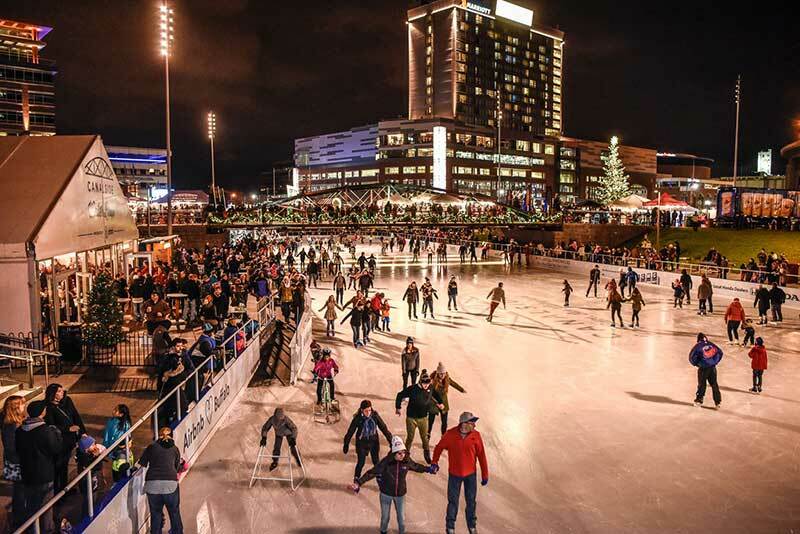 The addition of Canalside on downtown Buffalo’s waterfront has been a huge draw for residents and visitors alike. See the Buffalove for yourself and spend some time in the city on your next trip to the Niagara Region. For a true Buffalo experience, ask a local where their favorite spots are in the city.